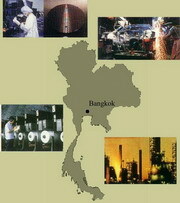 Thailand Market Research Companies research about Thailand. Well in actual fact they often research into other countries in South East Asia and Asia in general. A few years ago I did a small job for an international market research company. The job was easy and entailed calling major satellite operators in the region. I did the job from my own office. The international calls were logged and paid for by the market research company as was a handsome commission for each interview that was completed. While I was at University in London I worked for a market research company. Most of the jobs were quite repetitive and boring, as is the nature of market research surveys. However occasionally we would get an international business survey and of course with my language skills I often landed with doing surveys in South East Asian countries like Thailand, Malaysia and Indonesia. It was lunchtime UK time and 6pm in Bangkok. I needed just one more survey to complete the job. I needed to interview a senior director of a Pharmaceutical company in Thailand. My supervisor was listening in on my calls and pushing me to get that 'last interview' I called several numbers - damn they have all gone home. Then I struck lucky and got the sweet voice of a secretary on the line. She explained, in Thai, that her boss had gone home. She was intrigued at some farang calling from London and able to speak Thai also. I spent the next twenty minutes chatting up this lady. I asked about her family, her boyfriends, what food she liked and finally managed to get her mobile telephone number and a promise of taking her to dinner next time I was in Bangkok. My supervisor was well pleased, he doesn't understand Thai. So was I an extra ten quid for the interview and a twenty quid bonus for a completed job. If you require any information on this sector please email bangkokcompanies@gmail.com with your requests.